George Stringfellow was born on 26 August 1895 in Rakaia, Canterbury. His father was James Stringfellow (1864-1937) and his mother was Rosiner Gardiner Eylesham (1866-1940). George had four siblings, Albert, Violet, Edith and Agnes. The family lived in Ashburton as farmers. The last ranking George Stringfellow held was Private, Wellington Infantry Regiment 3rd battalion in the NZ Expeditionary Force. 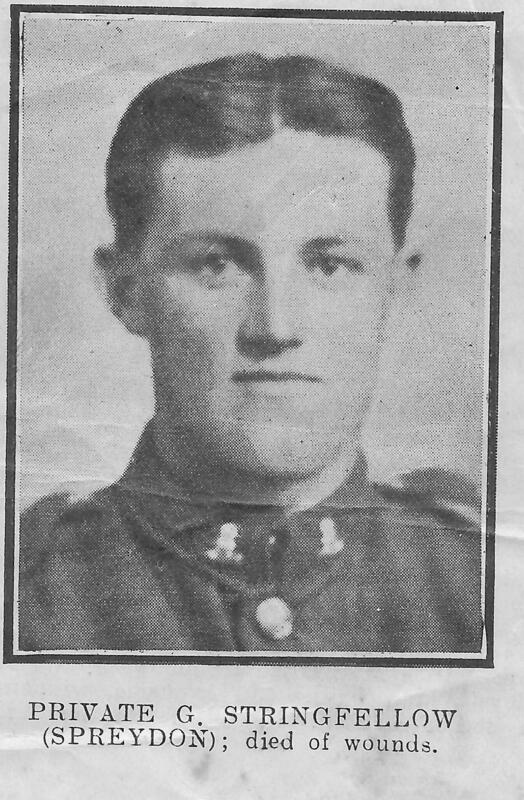 He died of wounds in the field in Belgium on 7 October 1917. George is remembered on the Tyne Cot Memorial, Marlborough War Memorial, Seddon District War Memorial, and Sumner War Memorial Plaque.